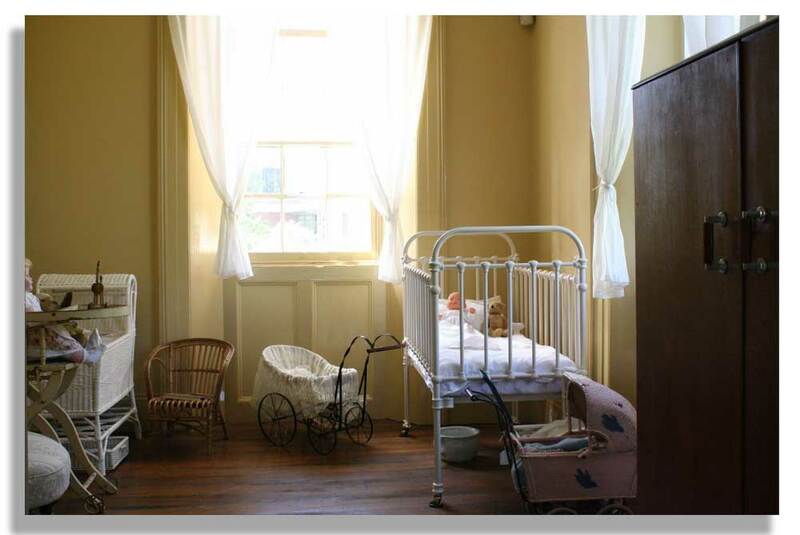 In the days of big families there was no such thing as a separate bedroom for each child. Children had to be “seen and not heard” so they would probably have had a Nursery Maid to look after them. 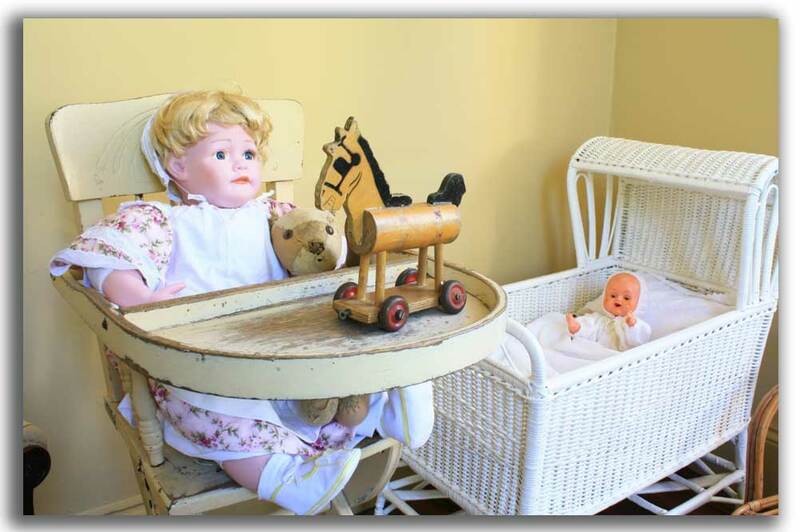 Enjoy our Nursery display of early cots, books, baby clothes and toys – but please do not touch. Behind the closed door in this room, is a 1970’s bathroom which is not open for inspection. The nursery originally included this additional space.